All of my outfits are menswear inspired, but I’d have to say my favourite is my cardigan(s). How did you know? 😉 I’ve not had many vests though, and the one you’ve got does look rather smart. I don’t usually like pinstripes but it definitely works. 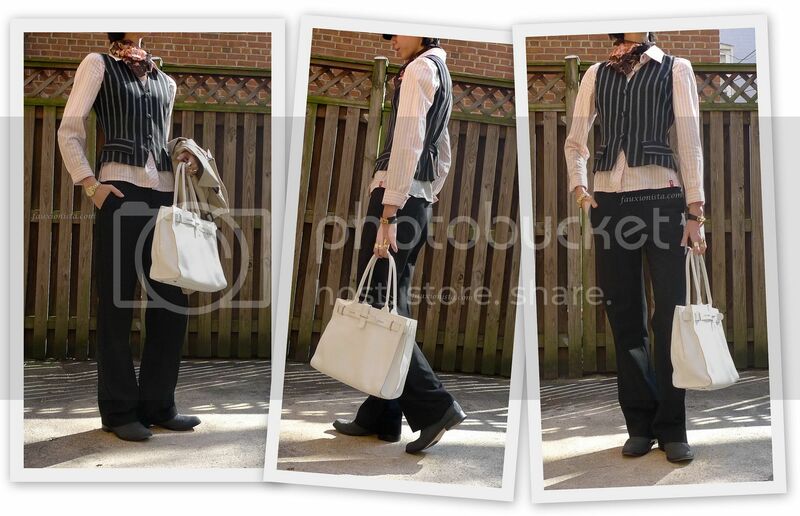 Really love that vest…something I do not own! Thank you, Tara! I highly recommend one as it adds a layer of warmth in transition between seasons! Looks fabulous. I am not sure if it is aided by the light as well, but their is something magical about that combination of the pink shirt and the gold jewellery.